Bridesmaids Dresses, Flower Girl Dresses, Modern Wedding Dresses and Dressing Gowns, all lovingly made at our Studio. 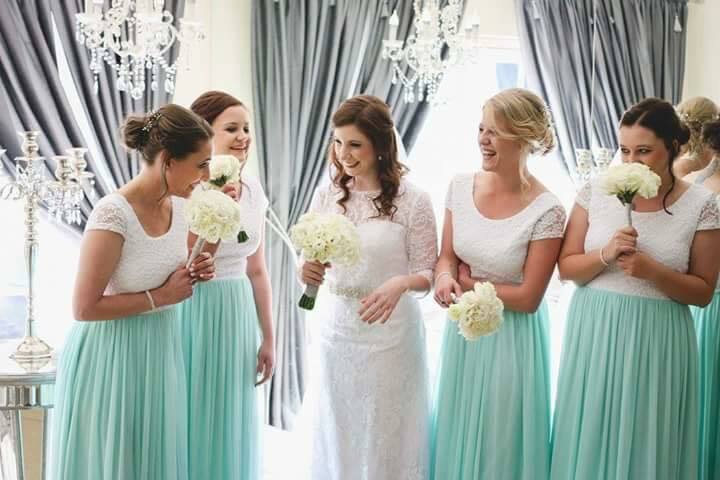 We have a full range of bridesmaids dresses that can be customised to your wedding theme! Each dress is made to order, in your choice of colour and size. 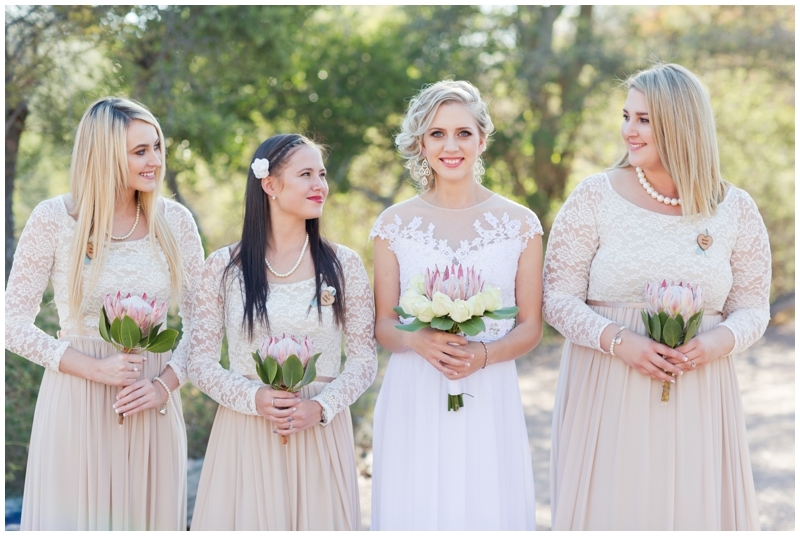 Request the CFB Bridesmaids Catalogue by emailing us on hello@chocolatesforbreakfast.co.za! Choose your style… choose your colour… love your CFB Dress! We have a full range of dresses in this catalogue for you to choose from. 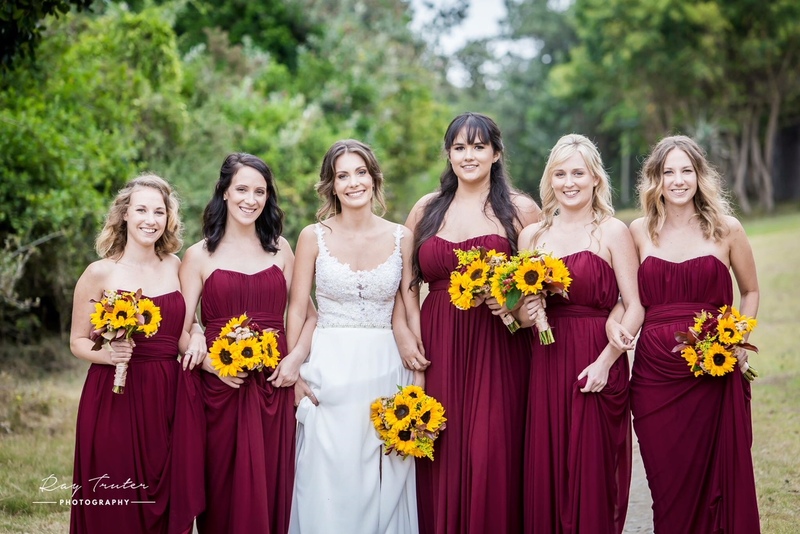 Some bridal parties choose the same dress for all the girls in the group, while others choose a few different styles – depending on what suits the individual girl’s taste and look! It’s really up to you! 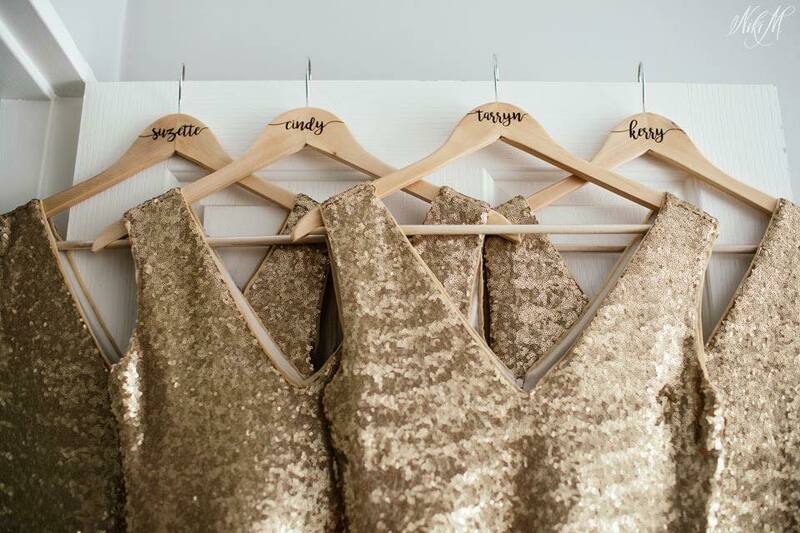 There are no hard and fast rules when it comes to picking a style… or for that matter in planning a wedding! 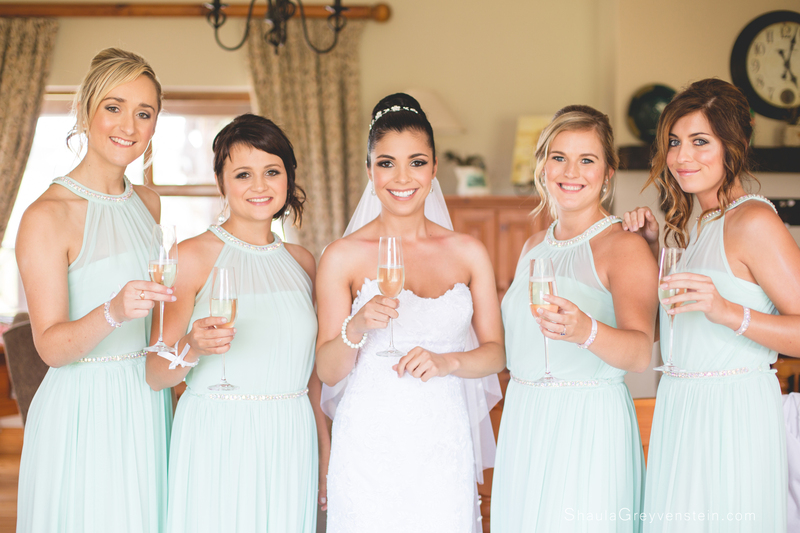 It’s your day, choose the style(s) and colour(s) you like …and love your bridesmaids dresses! Please remember to bring your heels for measuring and also make sure that if anyone is planning to wear “shapewear” undergarments of any form for the wedding, to please wear these for measuring as the measurements are affected by these undergarments. How do your Dress Sizes work: Our catalogue dresses come in standard sizes from XSmall to 3XLarge. (Some are available up to XL, some to 2XL and others to 3XL.) Please make use of our CFB #findyoursize chart to see what size you would be! If you are in doubt, please chat to us and we will work from your measurements to determine your CFB Size! Any sizes outside of these can be customized but these will incur extra costs, due to pattern making fees and or extra fabric costs, and can also only be made up in certain styles. 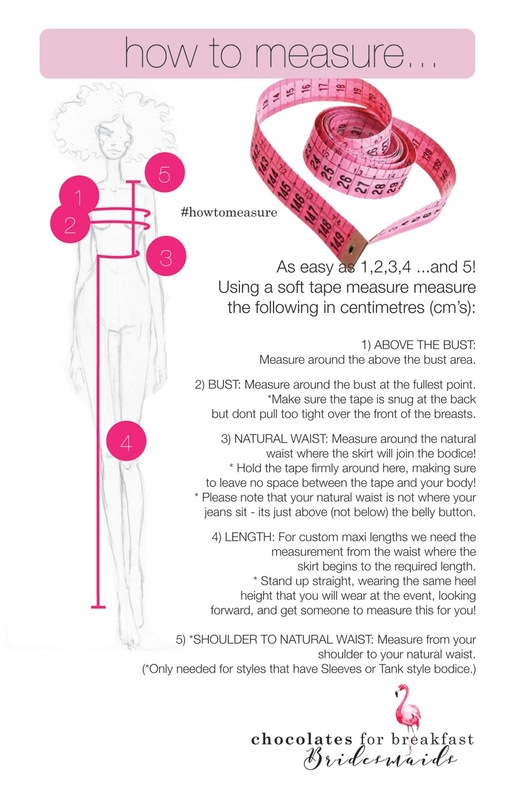 Our #howtomeasure guides can be found here: There is one for Natural Waist styles and one for Empire Waist styles! 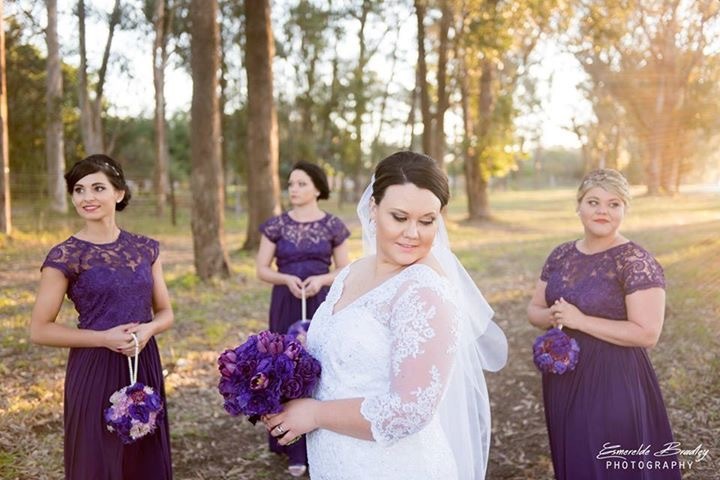 Email orders: Our national and international brides can email your selections of styles, sizes, lengths and colour choices through to us on hello@chocolatesforbreakfast.co.za. We will then reply to you with a confirmation of order quote/invoice. Payment can be made via EFT (or Swift for International customers). We accept FULL payment at the time of confirming orders before commencing with fabric allocation or dress manufacturing. Unfortunately, we cannot make exceptions to this policy. Lead Times on orders: We ask for a minimum 8 week lead time from placing the order to collection so that we have enough time to source your ideal colours. We can do shorter notice orders, but our colour palette is then a bit more limited as it then must fall within our local colour stock. Please plan to order dresses well in advance as our production fills up fast – especially from September to January, during the busy Summer Wedding Season! Our gorgeous Flower Girls dresses are pretty, comfortable and encourage twirling! #justletmetwirl All lined so that no little one is ever uncomfortable! View the CFB Flower Girls Collection here! Beautiful Dressing Gowns, and adorable Bride Tribe Tops to cover you in style while you prep for the walk down the aisle. Please email us on hello@chocolatesforbreakfast.co.za, or phone us on 083 5566 277, if you have any questions or would like to receive our catalogues, or if you’d like to visit us in Studio for a consultation.